Do EMRs increase clinic or hospital profits? What is the most common question asked by Doctors and Hospital Administrators when they meet me? Safe to say it is quote unquote: How does implementing an EMR solution increase my clinic/hospital profit? Now first let’s go into the economics of the whole thing. So to increase profit an EMR needs to either increase revenue or decrease cost, and also factor in its own development, implementation and training costs. Effect: Patients keep coming back to you due to their pleasant experience, they develop a fan following and also recommend relatives and friends thereby driving up revenue. Effect: Man Hours saved by Doctors, Nurses and Attendants can be effectively used to see more patients’ thereby increasing revenue. Effect: Less time spent on un-doing errors, less chances of revenue loss and time wastage on medico legal cases. Effect: Access over the Internet to Patients and Doctors increases work time, provides more avenues for patients to interact with the hospital or clinic thereby potentially increasing revenues. E.g. 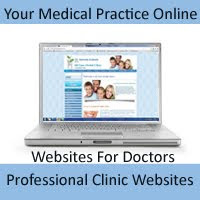 Charging Patients to access their records online, or Doctors giving reports in quicker due to online access. Effect: Where is your largest revenue coming from, which service, what kind of patients, which days, answers to all these questions which are now at your fingertips lets you plan better to increase and maximize revenues? Increasing revenue is just one end of the bargain. The other is saving costs! How? 1. Decrease Staff Size: A good EMR system lets you maximize your efficiency especially on the administrative end. This lets you streamline your staff activities and in some cases even reduce staff. 2. Generating Important Reports: Report on Unpaid bills let you call the requisite clients to follow up and recover the money, a time consuming affair on paper. Or important statistics on schedules lets you find the bottle necks in Doctor Timings and improve the scheduling, decreasing losses to the setup. 3. Save Paper: Less work is done on Paper leading to long term benefits and gains. 4. Save Space: Less paper means less storage space required. Use the clinic and hospitals to provide new services or better service. 5. Manage it all: A good EMR allows you to manage your practice as well, integrating basic accounts and inventory to prevent losses, theft and effective reminders when stocks or balances run low. Now for the down side, what costs are attached to the EMR? a. Development: For a customized solution or a product you will spend on developing vis-à-vis buying a ready product, this is the direct sunk cost. b. Hardware: Choosing a good EMR can greatly reduce this cost, but this too is a sunk cost. c. Training: Time and effort required in training the staff and migrating to the new system takes time and since time is equal to money there is a cost attached to this. d. Upgrade and AMC: Support costs are also involved with any software, so is upgrading it to newer versions. But this is vital to pay, because in the long run, PC problems do crop up and its best to be protected. In the long run however, the ROI on a good EMR system can be tremendous. 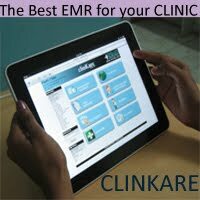 Our product case studies for our Clinic Management Software Clinkare showed that a doctor using all the features of Clinkare in a multi-user setup can save upto Rs 15000 per month directly and in man-hour estimates. But nothing will increase your Profit as much as using all the features of an EMR in a proper manner and fully utilizing its potential. The real value comes when you are ready to work with the EMR and not against it, when you can understand where all it can help you, increased profit is then certain.